Technology may be good for a lot of things, but it doesn't make receiving sad news any easier. When my iPhone announced this afternoon that the inbound call was from Texas, I took a deep breath. Several days ago I had received word that my old friend, John Wootters was in the ICU at a Kerrville, Texas, hospital. Like New Yorkers, Texans don't waste a lot of words. "John passed away earlier today," my friend began. "He passed quietly. Jeanne [his wife] is doing fine. She's such a trooper." I don't recall much of the rest of our conversation. My mind was on John. 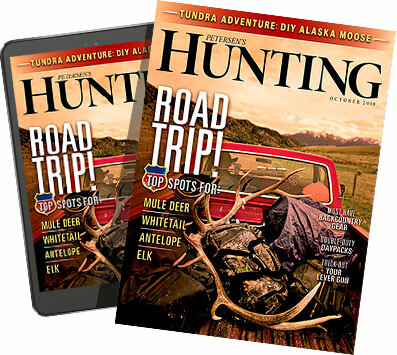 Longtime readers of Petersen's Hunting will remember John Wootters from his years of penning the Buck Sense column, as well as his countless hunting features, from jaguar hunting in Mexico to elk in the Rockies, to Cape buffalo in the wilds of Africa. His book, Hunting Trophy Deer, is a classic and is considered by many to be book that launched the whitetail craze that remains today. Writing was John's craft, and his readers always came first. John was also an expert on firearms and was a frequent contributor to Guns & Ammo in his earlier years. He was a master of all the shooting disciplines and a lover of cowboy action shooting. But John loved hunting best, and he loved hunting whitetails best of all. I was lucky to have received a number of invitations from John and Jeanne Wootters to hunt with them when they owned their ranch just outside of Laredo, Texas. Los Cuernos, as it was called, was a model for whitetail management, long before managing for trophy deer was fashionable. Heck, Wootters literally wrote the book on it. And while the hunting was superb, my fondest memories are of the evenings spent outside by the fire. We would generally hunt together just before the SHOT Show in January, so those Texas nights were chilly. But sitting down next to a crackling mesquite fire with one of John's signature margaritas in my paw and one of Jeanne's special marinated steaks or chicken masterpieces sizzling on the grill; well, life couldn't be much better. On many of those evenings, former PH back-page author Gary Sitton shared the fire with John, Jeanne and myself. Those were good times. Years later, retinal problems caused John to give up shooting long guns, but that hardly seemed to matter. He quickly switched to handguns and continued to hunt. John had a lovely 20-gauge side-by-side that he had custom-made for himself in Spain. It was a lovely gun — perfectly balanced and quick as a whip when it came downing doves or Texas quail. And I admired it deeply. I was doing a lot of eastern grouse hunting in those days, so I asked John if he would sell the gun to me. He did, saying that he was happy that his favorite shotgun was going to be knocking birds down again. And it has. I haven't had John's 20 out in a while, but I think I'll take it out tonight. I'll sit by the fire with three fingers of good single malt — a Wootters' favorite — in a tumbler. And as I admire the well-worn stock and the bluing that's now turned silver in the grips, I'll hoist my glass and remember my old friend. John Wootters brought the joy of hunting and his deep love of the outdoors to all of us through his writings. It was his gift. And I shall miss him very much. Here's a look at Wootters' first article, a Guns & Loads column that appeared in the November 1973 issue of Petersen's Hunting.